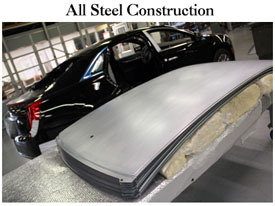 has maintained a proud legacy of automotive excellence and innovation that spans over five decades. Lehmann-Peterson offers an elegant expression of ground transportation with our hand crafted Master Coachbuilder conversions. 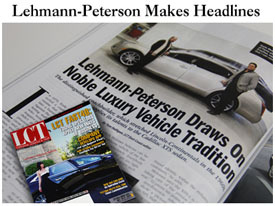 Lehmann-Peterson’s vehicles include luxurious interior appointments and spacious riding quarters. The Lehmann-Peterson XTS-L is converted with the executive traveler in mind. The XTS-L is a single-cut conversion that elongates the vehicle to create a more spacious rear seat environment. The seven-inch extension allows the newly positioned rear seats to slip behind the sail panel. Lehmann-Peterson’s Cadillac Master Coach built Platinum Edition XTS Five Door and Six Door limousine vehicles with seven inch rear long door and forty-eight inch center door is destined to set a new standard of excellence. Entry and Egress made easy……passengers will enter and exit the XTS five door or six door vehicle with ease from all doors. Five Door vehicles will have rear facing jump seats, while the Six Door limousine will have forward facing passenger seats. This vehicle is designed for both Funeral and Limousine industries. 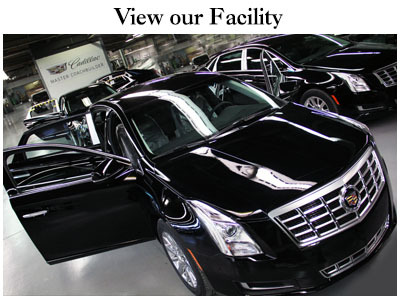 The XTS conversions are produced by Lehmann-Peterson, a Master Coachbuilder, and will be sold through Cadillac dealers. Cadillac Master Coachbuilders provide dealers with only precision-crafted conversions that meet strict Federal Motor Vehicle Safety Standards. Orders are now being accepted through the Sales Department at Lehmann-Peterson.